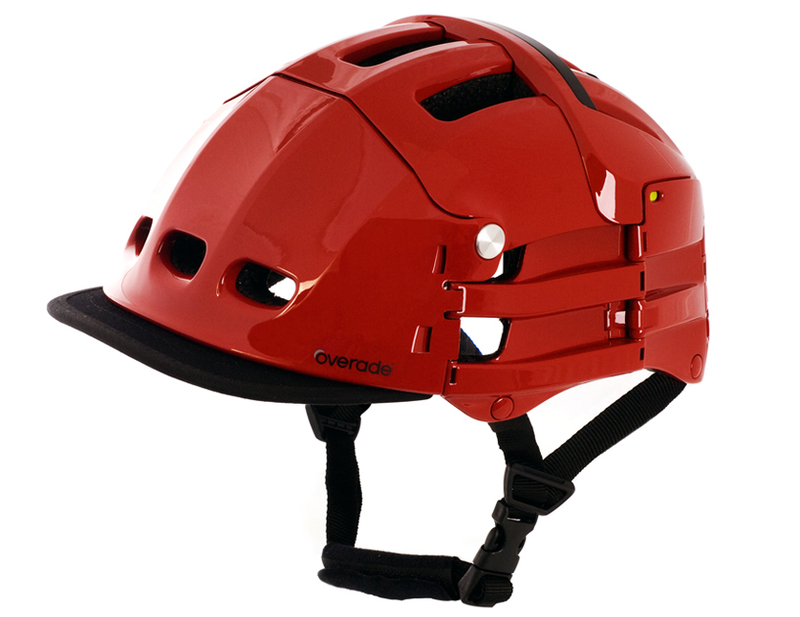 DesignApplause | Overade foldable helmet. 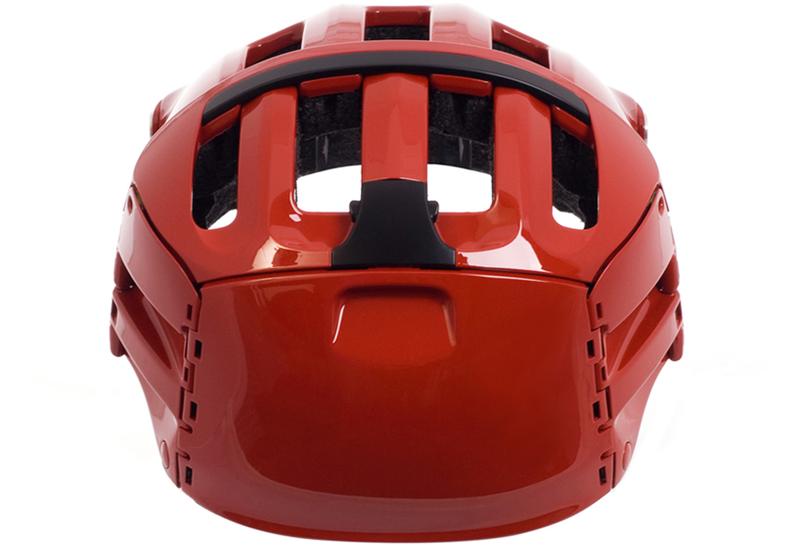 Patrick jouffret. 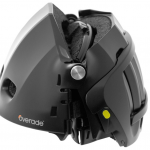 Overade foldable helmet. 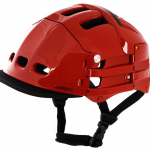 Patrick jouffret. ‘Overade’ is a foldable unisex helmet, designed by patrick jouffret of french design studio agency 360 in collaboration with engineer philippe arrouart. 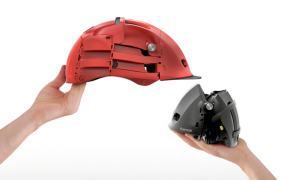 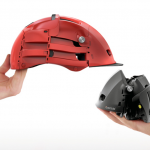 The device provides as much protection as a standard bicycle helmet but folds up to a compact, easily transportable size when not in use. 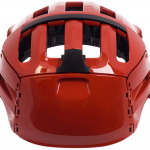 Small enough to slip into a purse or backpack, the design aims to address the low percentage of urban bicyclists who utilize helmets. 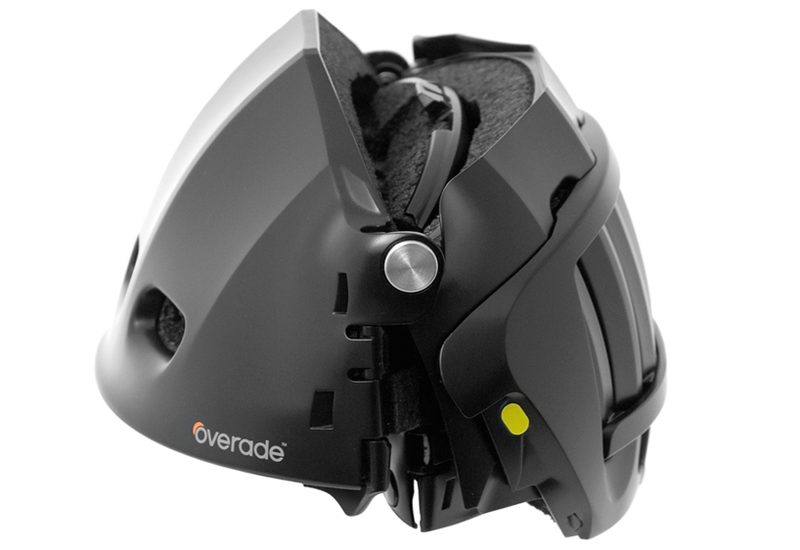 First prototyped in 2010, ‘overade’ is expected to enter commercial production within 2012.